While major flooding has not happened in the Hawkesbury-Nepean Valley for more than 25 years, it can occur at any time. Sometimes, extreme weather events will strike without warning, so we all need to be prepared. The strategy is designed specifically for the valley as the most flood-prone region in NSW, if not Australia. It is a long-term plan to minimise significant risks to life and livelihoods; damage to urban and rural property; and, the major dislocation of economic activity from rapid, deep flooding. It is the framework for the government, councils, businesses and communities to work together to reduce and manage flood risk in the Sydney Region’s most productive food bowl. And, after four years’ investigation, it recommends that raising Warragamba Dam to create a flood mitigation zone of around 14 metres is the best option to reduce the risks to life, property and community assets posed by floodwaters from the extensive Warragamba River catchment. 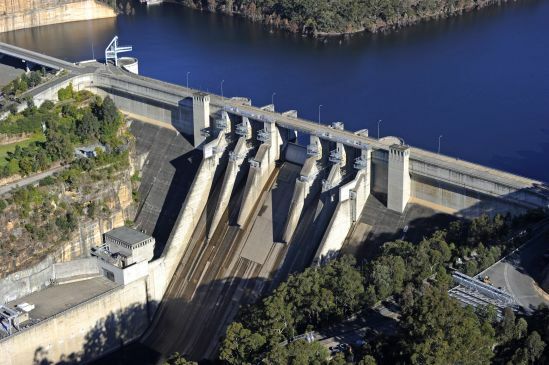 While a range of other infrastructure and non-infrastructure outcomes are included in the strategy and must be part of the solution for managing ongoing risk, no other mitigation measures can achieve the same risk reduction as the Warragamba Dam Raising Proposal. WaterNSW, as owner and operator of the dam, is consulting widely about the effects and benefits of the proposal to inform the environmental assessment, concept design and, subject to all planning approvals, a business case to assist decision-making in 2020 about whether to proceed with these major flood mitigation works. Stay informed and read the latest Community Updates.